Hello fellow #ScoopThatPoop-ers. 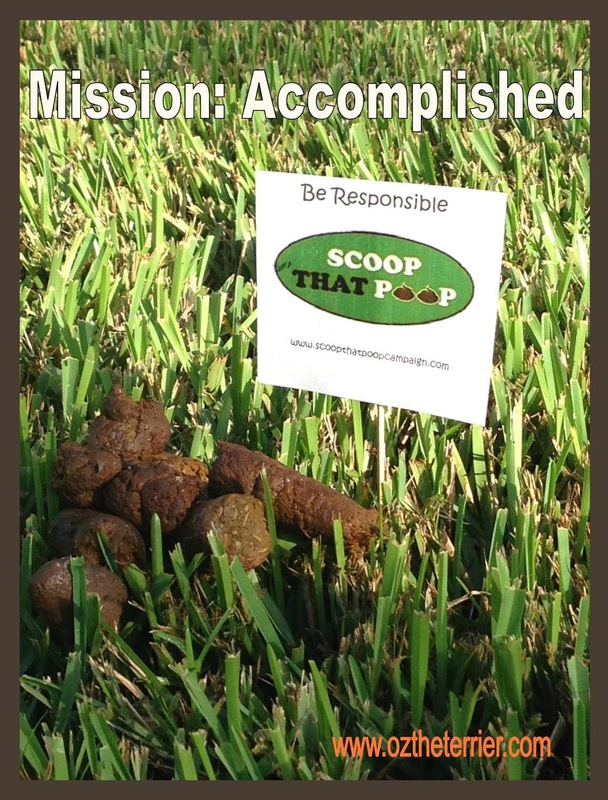 As you know, your mission this month, if you chose to accept it, was Poop Patrol. 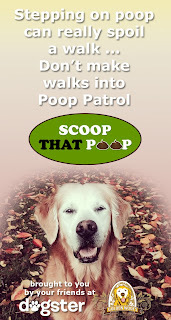 Sugar the Golden Retriever and I, along with our fellow detectives Emma MyGBGVLife, My Pawsitively Pets and The World According to Garth Riley, deputized you to seek out unscooped poop and take any action you deemed necessary. 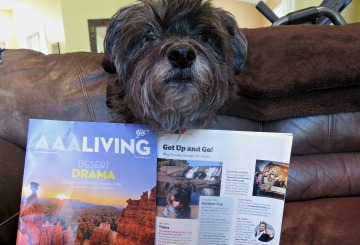 And great dawg...have I been on a few "Super Secret Missions" here in my neighborhood! Yes, you are seeing correctly. That is some loosey-goosey poop on the sidewalk NOT 20 STEPS FROM THE GARBAGE CAN at the corner of the main road. Ma lost her...well...poop. Honestly, the person should have tried to scoop what they could and walk it to the GARBAGE CAN. Needless to say, Mission: Poop Patrol started immediately after returning from our walk. Ma got on the computer and opened her design software, all the while mumbling about unscooped poop. As she hit the print button, off she went around the house gathering supplies - cardstock paper, bamboo skewers, scissors and duct tape. What.The.Dog? Well, as you can see, Ma made marking flags - like the little flags surveyors use. Great dawg! She is brilliant! She designed them so that they print 6 to a page...see! Now friends, I barely got to do MY business because Ma wanted to get back home ASAP to grab a marking flag. We got the flag and headed back out on our "Super Secret Mission". You guessed it...Ma braved the flies and the stink and flagged that poop pile! Then we hightailed it outta there! We went back later that day with Bentley and his mom, and the flag and poop were still there. Sadly, the flag and poop were still there even days later. 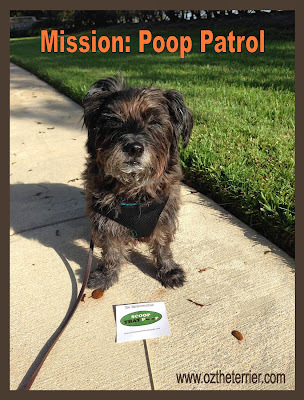 So, Poop Patrol is an ongoing mission around here. 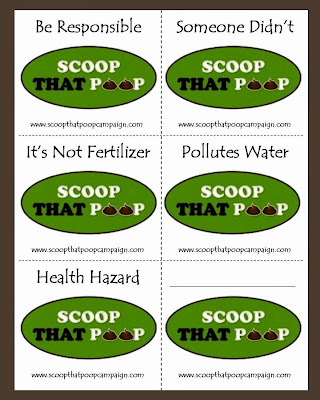 If you are interested in using Ma's #ScoopThatPoop flags, you can get them in PDF from my Google Docs HERE. 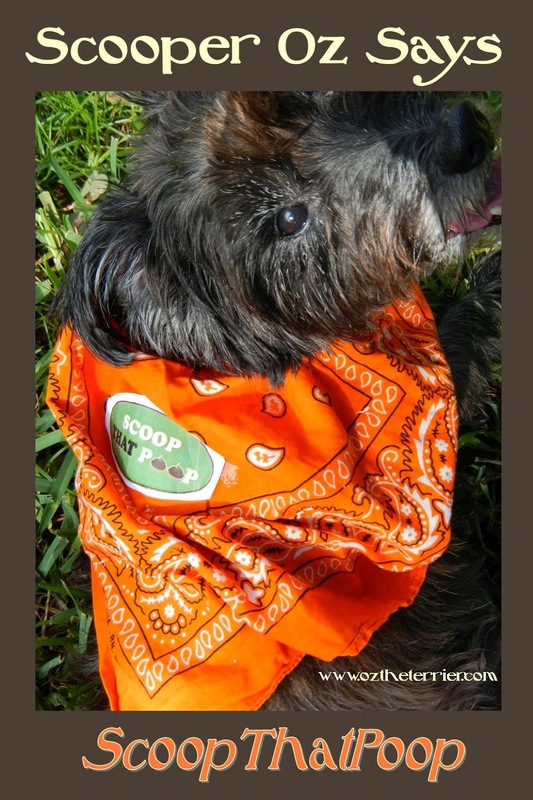 Now, don't forget to enter our #ScoopThatPoop giveaway this month! 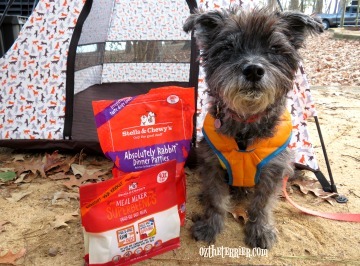 Two winners will receive poop bags and a poop bag dispenser from our sponsor, Earth Rated. Woof-hoo! Oh! 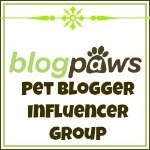 And does your human hate carrying around your poop bag? Do they want to go "Hands Free! Doody Free!"? 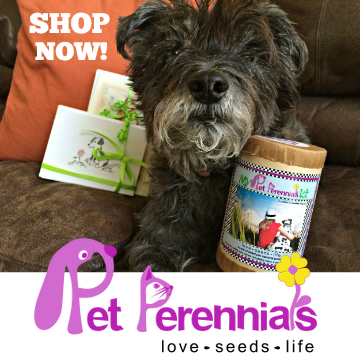 Then have them pop over to The Fifth Paw's website HERE so they can get the Pre-Holiday Special of 20% off - sale ends today, so don't delay! How is Mission: Poop Patrol going in your neighborhood? 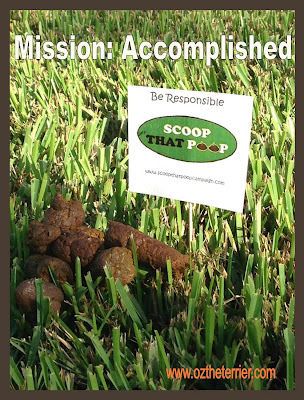 Join the #ScoopThatPoop hop and let us know! Thank you, Miss JoAnn. It seems those poop-bombers in our neighborhood are out really early or really late so no one sees them. The only way Ma could think of to bring attention to it was the flags. Let's hope it starts to work. Thank you, Rachael. I sure hope our little flags help people be more thoughtful so they #ScoopThatPoop! That's a great idea. Too bad the offender didn't get the hint. Well, ever since that flag went up, I haven't seen anymore HUGE piles...yet. That's a great idea to leave flags! 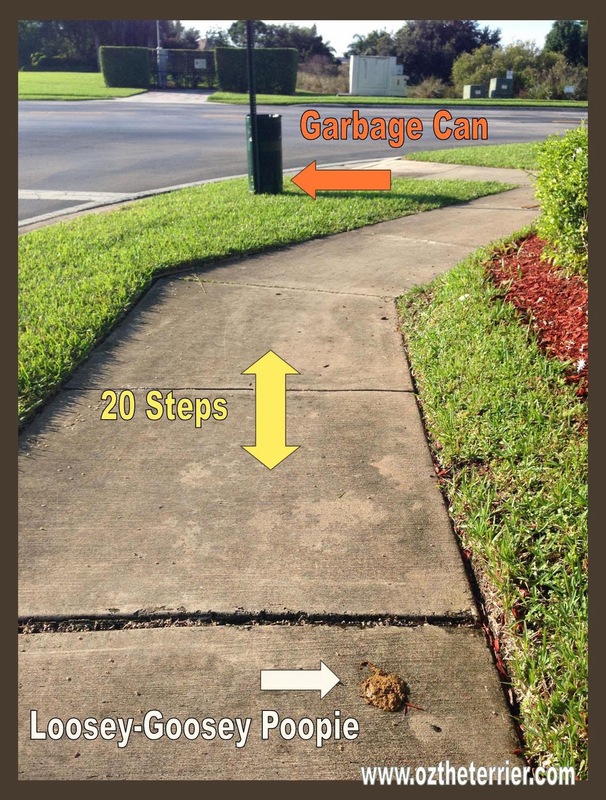 I always wonder when it's such a blatant poop on the sidewalk if it's someone who doesn't live in the area or something… otherwise why would they be so irresponsible? Or do anything after the fact? As long as you don't get into a dog poop fight with your neighbors. 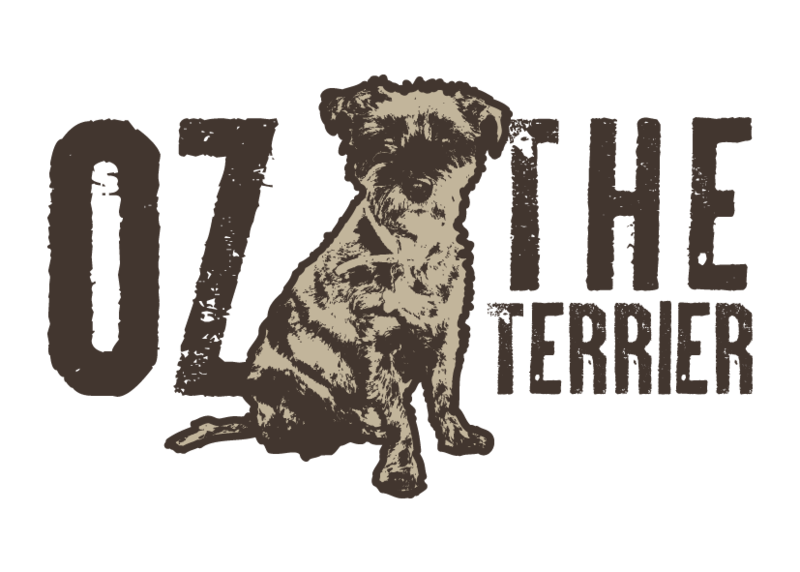 OMD Oz! That is awesome BOL Love the flag idea, brilliant! I wonder if the non-scooper ever saw the flag? I hope so! 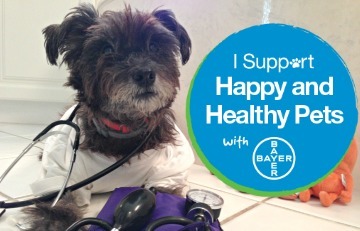 We hope so too! Glad you like the flags and hopefully they will work! We find those offenders that leave it on the sidewalk or road the absolute worst! That is just excusable! Nice flags that you have there, though, they dress up the landmines nicely. Easy, that second pile is HUGE! I swear I thought it was elephant poop at first, but alas...there's no hay in it. Oz your Mom had a brilliant idea with the signs!!! We will never in a gazillion years understand the folks who are so inconsiderate...they are giving their pups bad reputations. Thank you, Madi! 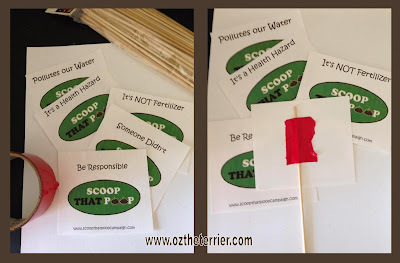 I agree...dogs get a bad rep because their parents refuse to #ScoopThatPoop! WONDERFUL POST OZ!!! Your mom is very cleaver and thank her for allowing us to download them and print them off!!! Happy Monday!!! I will definitely thank her for you, Spencer! Thanks for joining the hop! BWHAHAHAHAHAHAHA...OMD, your mom is freakin' brilliant! Dis is what happens to us! See, there is a man dat walks his rottweilert just so he can go poop and he NEVER picks it up so we has to dodge his PILES on da sidewalks! Maybe I should put some signs up in my 'hood! 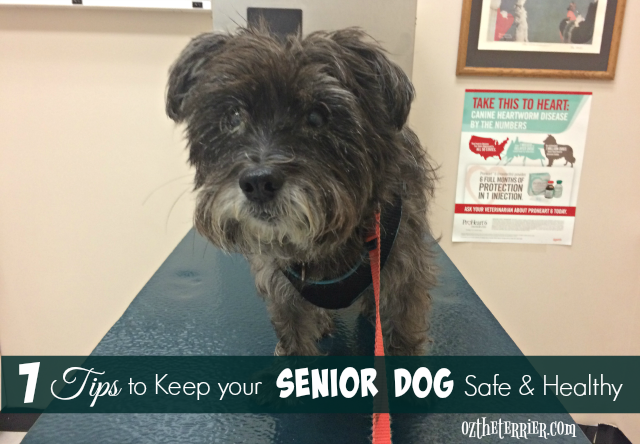 You should put up signs by the big piles of Rottweiler poops! That man may need to be shamed into scooping! Now SEE this is just BRILLIANT.... SUPER GENIUS STUFFS right here. The POOP and the Flag that are still there... are gonna be SEEN by the ... Guilty Pawty... Over and OVER and OVER... until they get the MESSage. You know it! And when we find another pile...it will get its very own flag! OOO! 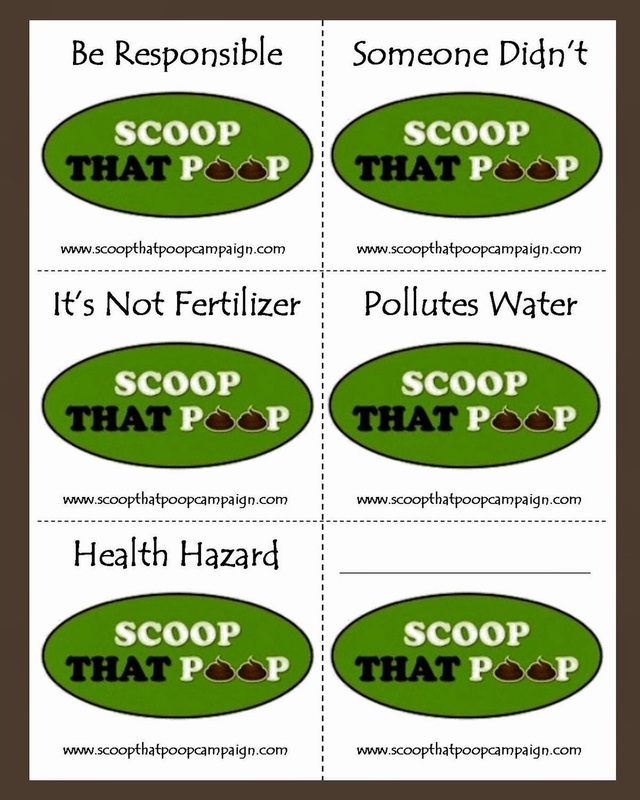 I want to print those signs that your mom designed for the next time I see the unscooped poop. Print them! Save them to your computer! I put them there to share!!! Y'all are sure doing great getting the word out and the poop up! Thanks Brian! We are trying! Oz the flags are pawsitively brilliant !!! We wonder if our neighbors would catch on if we put some of those in their yard. Mom is so torn, it is their yard but the big poops that are NEVER cleaned up are disgusting. We don't know how they can stand it. Oh dear...you would have to put them out while on a "super secret mission" like I did. Then they wouldn't see you and know it's you...but maybe they would start to clean up the big poops. Ringy Dingy Oz you there buddy. I got a scoop the poop real story to tell you. We have a neighbor at the end of the street. She has tissues by her door. When she sees someone leave a pile, she grabs tissues picks up the poop and chases the perp down and hands it to them poop side down, saying you drop something important and I want you to have it back. That is the TRUTH! NO WAY!!!! That is hilarious, Sir William! I cannot believe she picks it up with only a tissue. ick! And we don't want that! The signs are cute. Too bad someone didn't get the hint! I am hoping they will get it after a few flags! Good job, Oz and Mom! Even though the offender didn't come back and scoop (maybe they were too embarrassed to be spotted as "the one") they'll realize that in the future they out to start scooping, becuase people are paying attention! People can learn and change, can't they??? I hope so!! 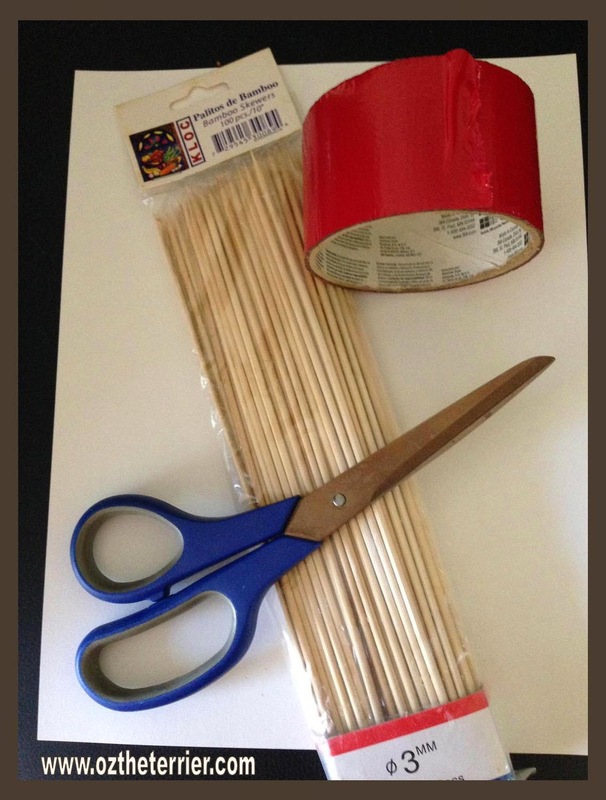 Love this idea - gotta make some flags! We did a little extra scooping over the weekend at our favorite park! Do it! Just print my PDF and you are ready to go! You should market those flags! They are such a great idea! At least someone picked up the pile of poo on the sidewalk. Great idea with the flag! Too bad it didn't work for that pile. Perhaps the dog's mom saw the flag and was too embarrassed to admit it was her dog. But maybe she's made a conscious effort to pick up future poo. I would hope so. We did see a lady walking a great, big Rottweiler this morning, with a empty bag, in that area. Maybe it was her and she has "learned". Just print them from my Google Docs, Savannah! 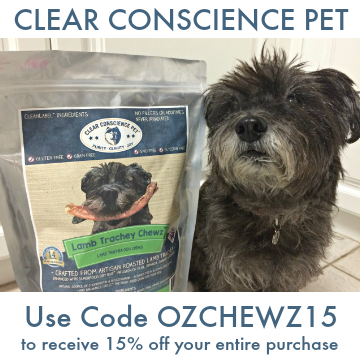 Follow the link...then mom and dad will have them at the ready! You should sell them on Etsy . Then the people who don't have printers could get in on this. Wow. Can't believe the poop 20 feet from the trash can. Sure, loose poop can be a challenge, but mom always scoops up whatever she can. And it's actually not that difficult to scoop the loose stuff when it's on a sidewalk. Your mom's signs are brilliant! BOL! Thanks Bailey. We should all carry at least one with us at all times. Your Moms is just brilliant Oz!!! I loves this idea!!! 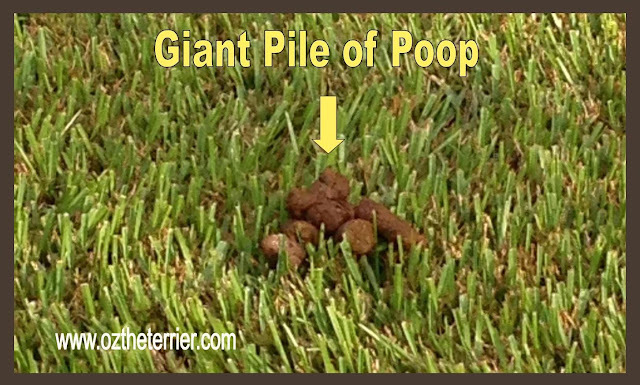 Luckily, we haven't found many unclaimed poops on our walkies lately, butts Ma just blows her lid when we do!! This is a BRILLIANT idea!! Wooof-hoo! I hope you downloaded them to your computer Ruby so your mom can make some signs of her own! Love the idea!!! I need to do that too in my neighborhood there is too many people that are leaving their dog's poop around! Make yourself some signs, Francesca! Just click the link to my Google Docs/Drive. Great post and those flags are brilliant!! Thank you, Marley. You know I like to do the right thing. Miss you, pal.